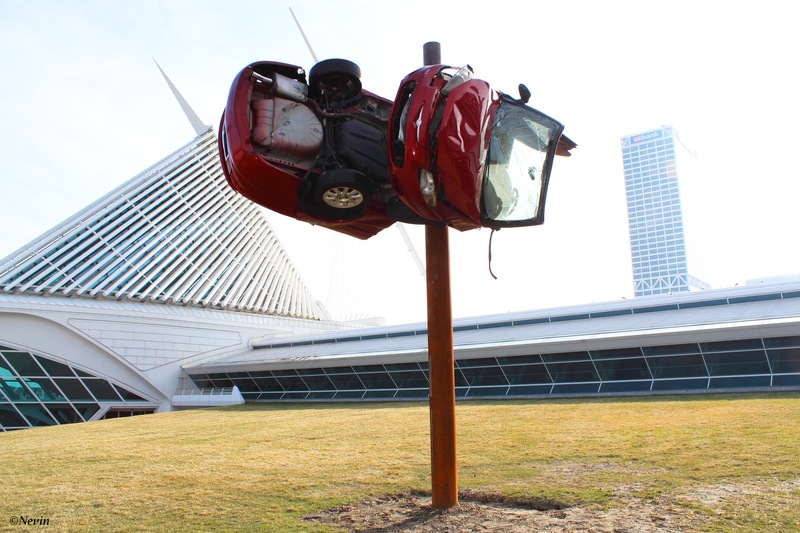 This car, mashed up and wrapped around a pole is located in the lakefront by the Milwaukee Art Museum. 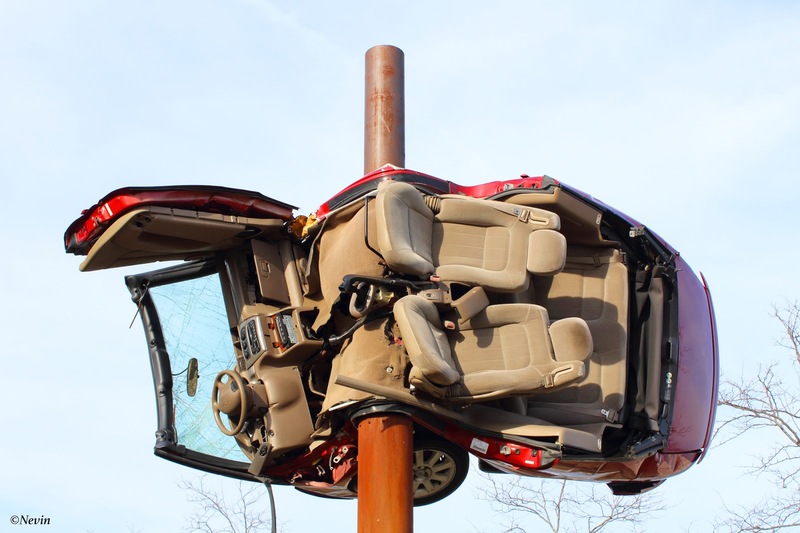 This is a work of the German artist Dirk Skreber who is best known for his paintings and sculptures that portray catastrophic events. 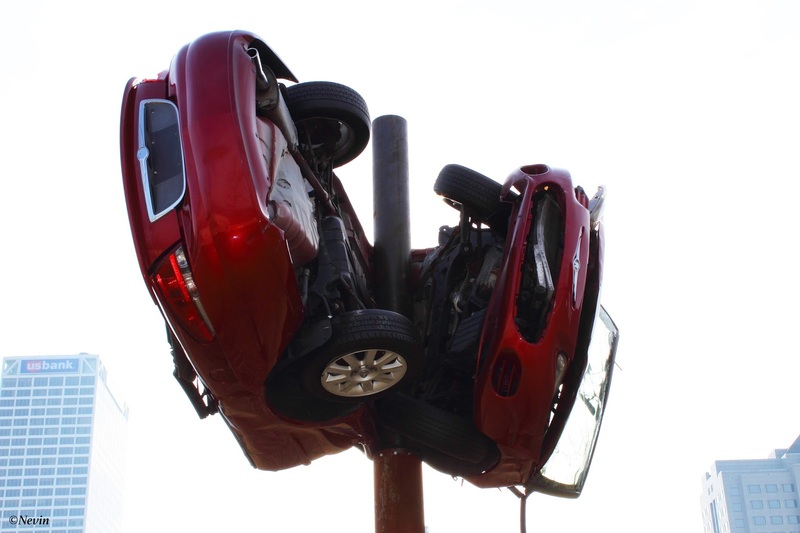 Skreber performed a controlled car crash to create this monumental sculpture.